Analysis: Murphy hasn't officially retired from football, despite failing to secure even a training-camp invite from an NFL team in 2018. A strong showing in the AAF could improve Murphy's odds of resurfacing in the NFL, but at 31 years old, his clock is ticking. Murphy tallied 121 yards and a touchdown on eight receptions in a reserve role this season. 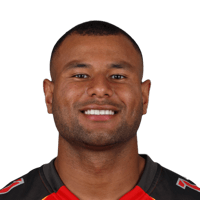 Murphy did not receive a target despite being on the field for 33 offensive snaps in Sunday's 25-23 win against the Titans. Murphy (illness) was not listed on the 49ers' final injury report heading into Sunday's tilt versus the Titans. Analysis: Murphy logged consecutive limited practices to end the week due to an illness, but it does not appear to be anything serious. Assuming he avoids any setbacks, the 30-year-old looks on track to suit up for Week 15. He is likely to continue sharing snaps with Trent Taylor, Aldrick Robinson, and Kendrick Bourne behind No.1 pass-catcher Marquise Goodwin. Murphey (illness) returned to practice in limited fashion Thursday, Matt Maiocco of NBC Sports Bay Area reports. Analysis: Murphey missed Wednesday's practices due to an illness, but appears to be recovering from the issue. The 30-year-old should have time to recover before Sunday's game against the Titans, but Trent Taylor, Aldrick Robinson, and Kendrick Bourne would all benefit from his absnece, as they have been sharing snaps. Murphy was held out of Wednesday's practice with an illness. Analysis: Murphy should have enough time to recover before Sunday's game against the Titans, after catching at least one pass in each of the last four games. The 30-year-old has been sharing playing time with Trent Taylor, Aldrick Robinson and Kendrick Bourne, with each player landing between 26 and 31 snaps on offense in Sunday's 26-16 win over the Texans. No. 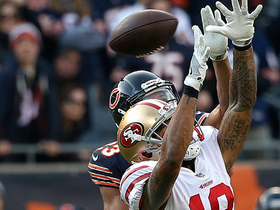 1 receiver Marquise Goodwin is the only reliable bet for targets. 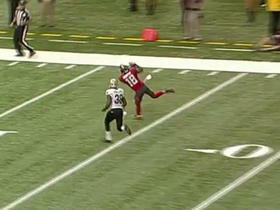 Murphy pulled in one of his two targets for 20 yards in Sunday's 26-16 win over Houston. 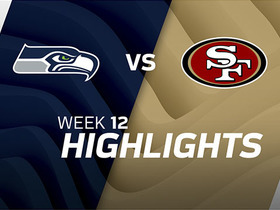 Analysis: The 30-year-old continues to be involved for a rebuilding 49ers offense, logging 29 offensive snaps and recording a reception for the fourth consecutive week. Murphy had seen his targets increase on a weekly basis, but his two this week tied a season low. Despite carrying a solid 16.3 average yards per reception, the veteran simply isn't enough of a focal point to be relied upon in fantasy. 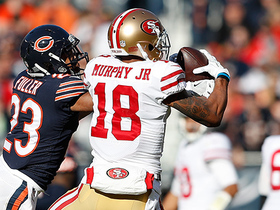 Murphy was targeted six times but finished with just one catch for 16 yards in Sunday's victory over the Bears. Analysis: While his final line was fairly empty, the veteran finished second in targets amongst all his fellow wideouts. Murphy has seen his targets increase incrementally over the past three games and has clearly moved into third on the wide receiver depth chart. 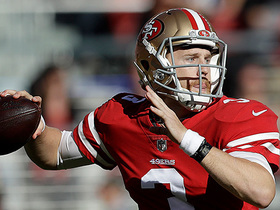 The 49ers' passing game gained new life with Jimmy Garoppolo under center, so there's some room for optimism for the once-forgotten receiver given his elevated role in an upward-trending passing game. 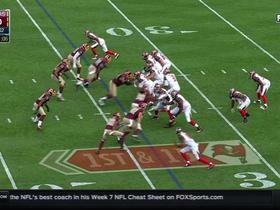 San Francisco 49ers QB Jimmy Garoppolo gets a nice gain from wide receiver Louis Murphy on the downfield reception. 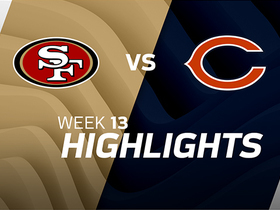 Chicago Bears cornerback Kyle Fuller makes a big play by intercepting the pass from 49ers QB Jimmy Garoppolo by wrestling it away from wide receiver Louis Murphy. 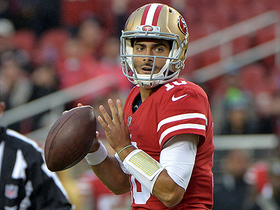 San Francisco 49ers QB Jimmy Garoppolo throws a 10-yard TD to wide receiver Louis Murphy on first drive as a 49er. 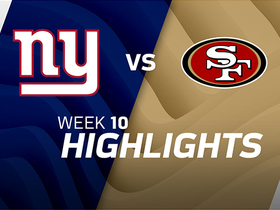 Watch the best plays as the San Francisco 49ers defeated the New York Giants in Week 10. San Francisco 49ers QB C.J. Beathard passes deep to wide receiver Louis Murphy for a 40-yard grab. 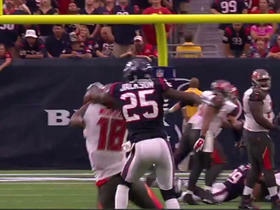 Buccaneers Jameis Winston finds Louis Murphy for 33 yards.